The latest research from Roy Morgan has further validated Isuzu UTE Australia’s continual drive for excellence for our customers, with IUA taking out the “Best of the Best” at the Roy Morgan Customer Satisfaction Awards for 2018. Isuzu UTE Australia (IUA) is excited to announce a motorsport partnership with Ross Stone Racing (RSR) and Caltex Australia. Isuzu UTE Australia (IUA) has established a new annual sales record of 27,640 vehicles in 2018. For the sixth consecutive year, Isuzu UTE Australia (IUA) will be proudly supporting the Daniel Morcombe Foundation’s annual ‘Day for Daniel’, on Friday the 26th of October. The latest research from Roy Morgan has further validated Isuzu UTE Australia’s (IUA) continual drive for excellence in product reliability and after sales service, with recent reports placing IUA 2nd for the first 4 months of the year (January to April). The annual 4X4OTY award involves rigorous testing of the best all-new or significantly revised four-wheel drives from the last 12 months. MU-X wins again with fourth OzRoamer award! 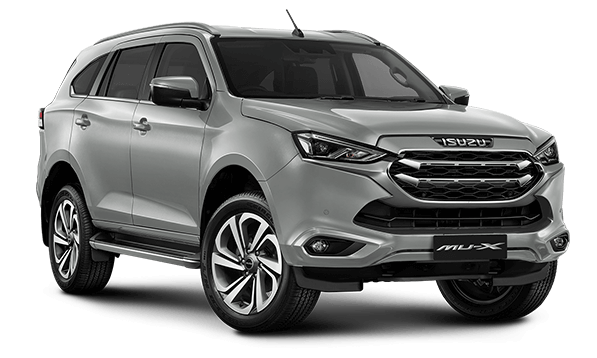 The Isuzu MU-X LS-T has again been awarded the Best 7 Seat 4WD under $60,000 by OzRoamer Magazine. Reconfirming its position as a serious contender in both the 1-tonne Ute and SUV categories, Isuzu UTE Australia (IUA) has once again achieved double digit growth in 2017, successfully growing the brand by 10.4% YOY. Isuzu UTE Australia (IUA) is proud to once again lend its support to the Daniel Morcombe Foundation’s annual ‘Day for Daniel’. Friday the 27th of October marks the Foundation’s national day of awareness, dedicated to promoting its child safety and protection awareness programs.